In a move reflecting the growing threat of DDOS attacks, whether by high-profile political activists, national intelligence agencies, or plain old cybercriminals, Arbor Networks has taken its first steps into the world of two-tier channel building. 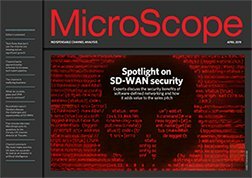 In a move reflecting the growing threat of DDOS attacks, whether by high-profile political hacktivists, national intelligence agencies, or plain old cybercriminals, Arbor Networks has taken its first steps into the world of two-tier channel building, tasking pan-European super-VAD Exclusive Networks with finding it an outlet into the enterprise VAR sector. Arbor has historically had a strong presence among telcos and ISPs, but in the wake of increasing attacks on the enterprise market felt it needed to move beyond its sweet spot. Arbor European channel director Jeremy Nicholls pointed to the firm's recent Worldwide Infrastructure Security Report, which found that 40% of respondents with a firewall in their datacentre had seen it fail as a result of a DDOS attack. "The ease of access to DDOs tools has become much greater, and there are far more reasons for organisations becoming the target of attack," he explained. "The enterprise sector has a rapidly growing market opportunity, and we were looking for a distributor to help us make and grow the market," said Nicholls. "Whilst having a Europe-wide view we felt Exclusive also gave us an entrepreneurial streak in each individual country." Exclusive will be looking to establish Arbor's reseller base among vertically and geographically-focused players, with a particular emphasis on routing and switching specialists looking for extra security oomph, said Exclusive director of marketing and global accounts, Barrie Desmond.